Below are samples of repertoire and programmes that Sarah performs. For further details and costings please contact Sarah. 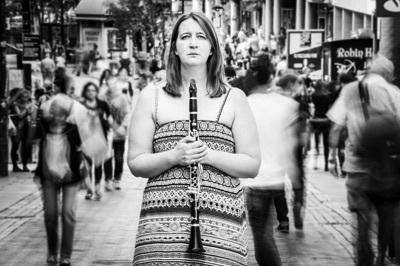 Sarah performs various programmes featuring solo core contemporary Clarinet, Bass Clarinet and Contrabass Clarinet. Repertoire includes works by Berio, Buchi, Cage, Cardew, Crosse, Donatoni, Gentile, Goehr and Simaku and Stravinsky. Sarah also where appropriate includes new works written for her in these recitals and music that includes the use of live electroacoutsics and fixed media. 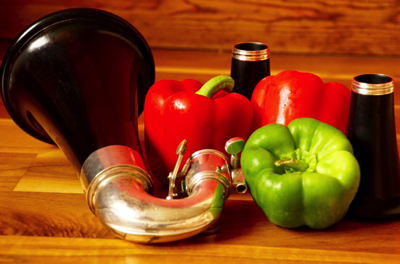 Spectral Immersions is based on years of research looking at the world of multiphonics. In addition to new works written for Sarah's project (see the multiphonic page), this programme includes important works composed from the 1970s to the early 2000s. This programme is avaiable in performance or lecture performance format. 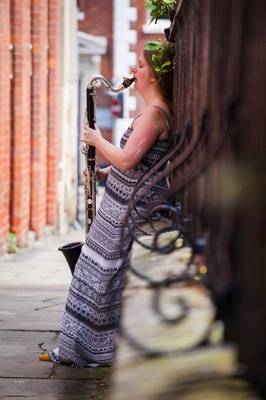 SCAW offer various recital programmes featuring all genres of solo bass clarinet repertiore from core lyrical repertoire to music recently written for the duo. SCAWVILLE is a new series of programmes for audiences - based on the scoville scale, SCAW have come up with a new concept of programmes of all heat degrees for all audiences!